Great news for mid-range buyers, Asus has launched the all new Asus ZenFone 2 ZE551ML(4GB RAM) in Taiwan at priced at TWD 8,990 (approx. Rs. 18,000) and Asus ZenFone 2 ZE551ML (2GB RAM) at TWD 6,990 (approx. Rs. 13,900) in Ceramic White, Glacier Gray, Glamour Red, Osmium Black, and Sheer Gold colour option slated to launch in India by April 2015. 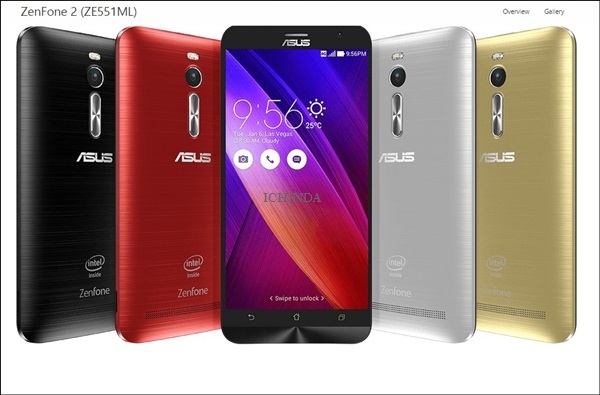 Asus also launched two new variant of ZenFone 2 as Asus ZenFone 2 ZE550ML at TWD 5,990 (approx. Rs. 11,900), and Asus ZenFone 2 ZE500CL priced at TWD 4,990 (approx. Rs. 9,900). Asus ZenFone 2 ZE551ML supports Dual-SIM (GSM+GSM), Micro SIM with 4G LTE (Cat. 4), 3G, GPRS/ EDGE, GPS/ A-GPS, Bluetooth, Glonass, Wi-Fi, USB OTG, and NFC powered by a 64-bit Intel Atom Z3560/Z3580 Quad Core Processor (Running at 1.8/2.3GHz) PowerVR Series 6 – G6430, with OpenGL 3.0 support with 4GB/ 2GB RAM variant and 16GB/32GB/64GB built-in-storage and 64GB external memory(ASUS WebStorage 5GB lifetime) makes multitasking a fun, gives immersive game environments and reducing power usage and heat and runs on Android OS, v5.0 (Lollipop) based on Asus ZenUI which allows you to enjoy millions of apps through Google play store. 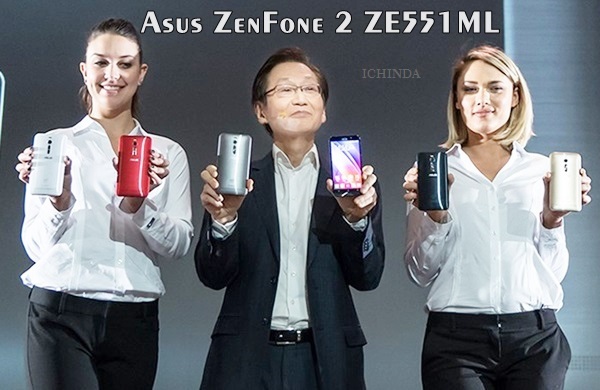 At last few honest word, Asus ZenFone 2 ZE551ML is coming to rule the hearts of smartphone lovers. What you think? Please be open to give your view. please let me know while its releasing in india na? When launch this mobile in India ?